Despite achieving significant forward progress in product innovation, sustainability, de-stigmatization and other areas, cannabis industry professionals still seem to struggle in one key realm: Finance. Complex state laws, banking regulations, and a sizeable knowledge gap surrounding proper bookkeeping and tax practices all underscore the industry’s dire need for experienced finance professionals who can bring accurate, complex accounting to cannabis businesses, leaving a massive opportunity open for those who are willing to shift into a highly profitable and rapidly-growing industry–and willing to learn how to do so correctly. The cannabis industry is characterized by a number of distinct factors that lead to unique financial and legal challenges, which CEOs must overcome in order to not only succeed, but protect their licenses and investments. Well-trained accountants are the missing piece in helping cannabis companies conquer these obstacles and ultimately stay in business. Factor #1: The cannabis industry is tightly regulated. Many cannabis companies–particularly those that have evolved out of the black market–find themselves entirely unprepared as they enter one of the most heavily-regulated industries in the United States. Closely watched by regulators for accounting and tax errors, many cannabis business owners are unaware of when they are not adhering to the strict and highly nuanced guidelines, leaving them out of compliance when auditors inevitably arrive. As a result, countless legally-licensed cannabis companies are now facing shutdowns and large penalties after having invested hundreds of thousands of dollars–with lack of accounting knowledge to blame. Factor #2: The landscape is complex. Further, the cannabis landscape as a whole is extremely complex, with many convoluted layers. For instance, within the cannabis space, there are multiple verticals, such as farming, chemical manufacturing, food manufacturing and retail–all completely separate industries and vastly different entities that each come with their own issues from an accounting and tax standpoint. On top of this, cannabis businesses face several layers of regulation at the city, county, state, federal IRS, FDA and other levels. The average cannabis CEO, while an expert on the plant and the business, may not hold the specialized knowledge required to understand and manage these complex details. Factor #3: Big accounting is (mostly) avoiding the space. To make matters more difficult for cannabusinesses, most large accounting firms have refused to enter the space while the plant is federally illegal. As a result, many companies are using untrained bookkeepers who lack the full education and skill set necessary to adequately perform correct accounting as required by regulatory bodies, maintain up-to-date reporting, and keep the company audit-ready and compliant at all times. In some cases, the CEOs themselves are performing such financial duties, therefore taking their time away from other critical tasks. Fortunately, with the help of qualified accounting professionals who ensure financial records are in order, all of these problems can be mitigated. Already, accountants are beginning to gravitate towards the industry to offer expertise that will increase the overall value of cannabis companies, in turn allowing CEOs to make better strategic decisions for the sake of their businesses. As companies increasingly place emphasis on getting their financials in check with strong accounting procedures, they will be better equipped to thrive in a competitive space as their businesses grow and obtain more funding. For example, my company, DOPE CFO, has set out to help facilitate this by providing in-depth training to accounting professionals interested in entering the burgeoning cannabis market. DOPE CFO’s program offers a complete DIY “accounting practice in a box” program designed to teach accountants, bookkeepers and CPAs how to successfully enter and flourish in the space, filling the prominent void that has long been holding industry professionals back. 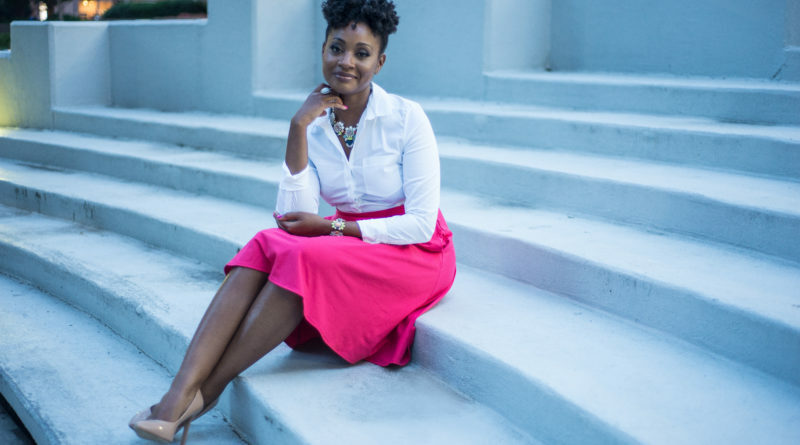 Naomi Granger, CPA, MBA, is co-founder of Dope CFO.